It’s a sign of how popular a character is when, after the original creators put away their toys, others want to play. 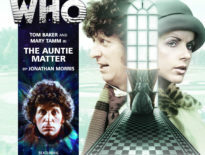 Ian Marter’s Harry Sullivan may not have had Sarah Jane’s adventurous spirit but he did have a lot of adventures, albeit quite reluctantly and with a certain bemused charm to boot. So what happened once he went off to investigate oil rigs at the behest of the Brigadeer? Did he settle into the life of a bachelor doctor, careening around town in his MG or did he finally get to be James Bond? Let’s find out as we take a look at his second life as a common fixture in the literary adventures of the Doctor. 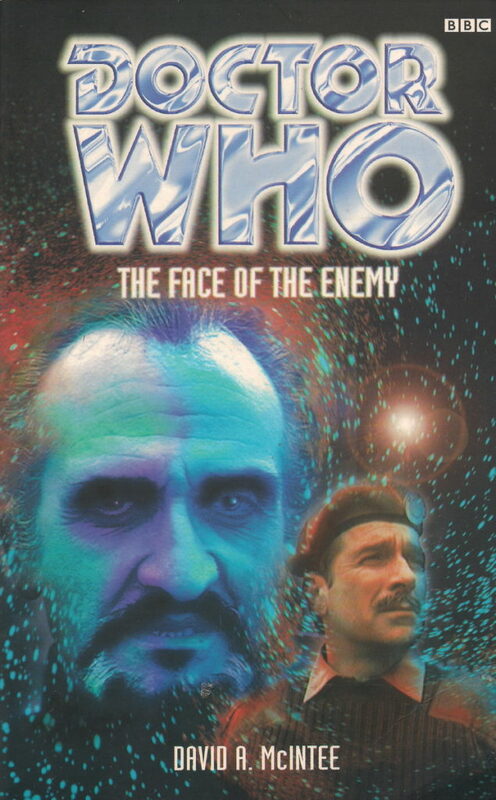 Chronologically, the first appearance by Harry Sullivan, The Face of the Enemy was the first full length Past Adventures novel by BBC Books not to feature the Doctor (the Third Doctor and Jo make a small cameo appearance). Told from the Master’s point of view, the book saw the Doctor’s greatest foe inextricably linked to rising crime in London and the mysterious return of a once missing plane with extra-terrestrial properties. The book is Harry’s first encounter with UNIT while he was still working for the Navy. Happening upon an accident, Harry contacts UNIT at the behest of a dying DI whose body promptly goes missing. Leading Harry into his first, and by no means last, encounter with imposters posing as copies of other men. Running concurrently with the events of The Curse of Peladon, and the after effects of the events of Inferno, the book is a treasure trove for continuity nuts with references to former companions, allies, serials and previous BBC Books. Plus, the Master’s TARDIS is camouflaged as a Rolls Royce! What’s not to love? Scattered across the universe by the TARDIS, Sarah Jane is marooned on a slave world where the only escape is death. Harry is caught in the middle of an interplanetary invasion, and has to combine medicine with a desperate mission. And the Fourth Doctor lands on a world so secret it does not even have a name. 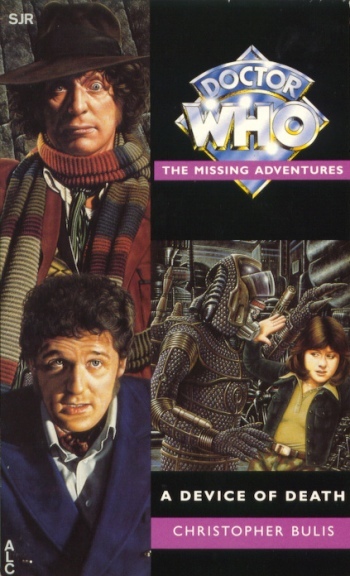 This Missing Adventures Novel is set between the events of Genesis of the Daleks and Revenge of the Cybermen, and owes a debt to Isaac Asimov’s Robot series in its depiction of the Movellans – a robot race who, it is implied, thanks to the Doctor’s intervention will play a part in the downfall of the Daleks. 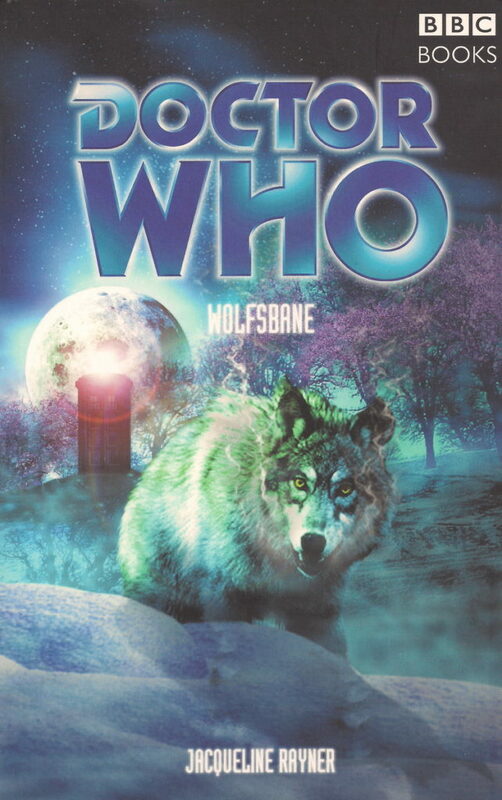 The novel has two unique features, first, thanks to interference from the time rings, the Time Lords give the Doctor a brand new TARDIS, which he returns to them at the end of this tale and, secondly, Harry is portrayed as a competent medical doctor whose skills prove invaluable to the plot. Aka the one where Harry is a werewolf. 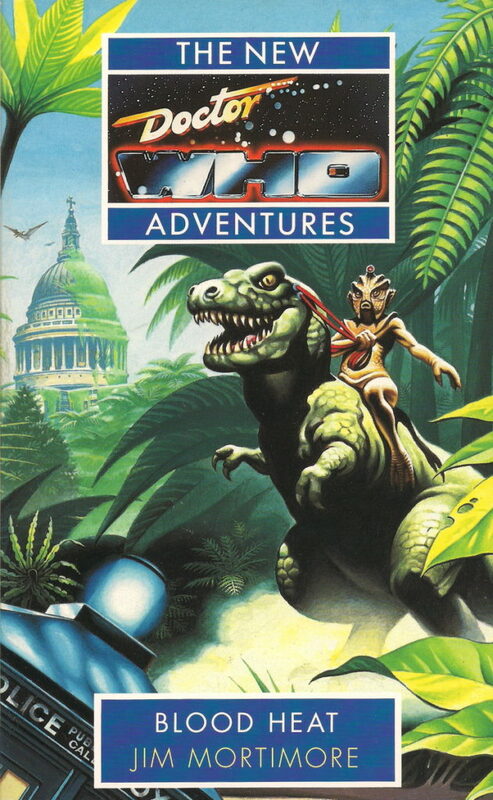 Another Past Adventures novel, only this time featuring the Eighth Doctor and the Fourth Doctor – although the pair pass through the 20th century setting like ships in the night, albeit ships that tidy up each other’s loose ends. When Harry is accidentally stranded in 1936, the Fourth Doctor makes an alarming discovery; a tombstone bearing the name Harry Sullivan. The Doctor and Sarah Jane track the mystery of Harry’s demise to the only witness to the crime, a man driven mad by what he has seen, who screams of a mystery man known as ‘the Doctor’. 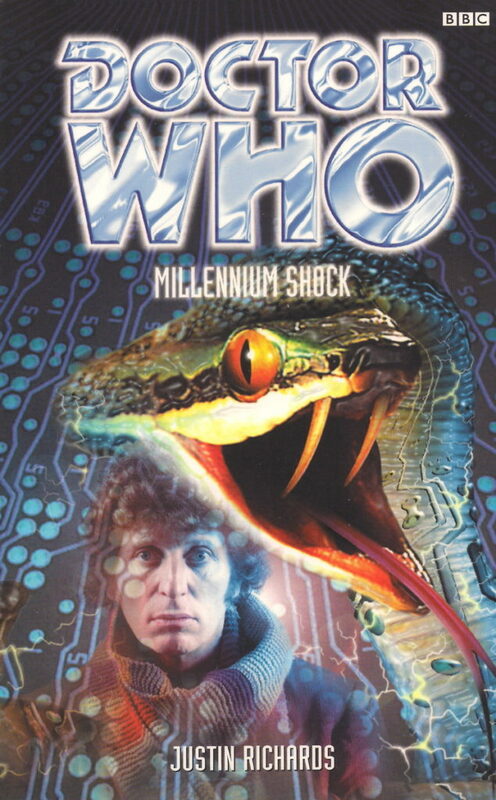 Taking place after the events of Revenge of the Cybermen, and despite upsetting a large part of fandom by ‘killing off’ Harry, the book is something of a triumph – the pairing of Harry and the Eighth Doctor works like a charm – there’s a great moment when Harry restores the Eighth Doctor’s memories with just one word ‘Skaro’ – and the use of magic is novel too. 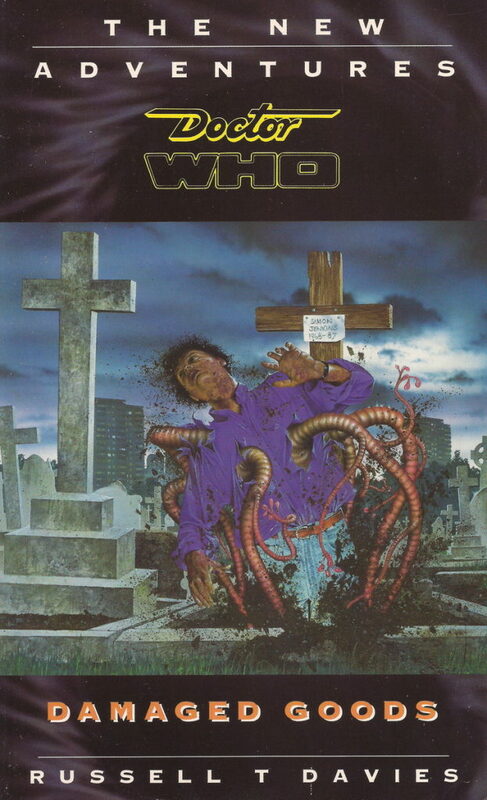 The book was also previewed in comic form for Doctor Who Magazine with artwork by Mike Collins (The Only Good Dalek). 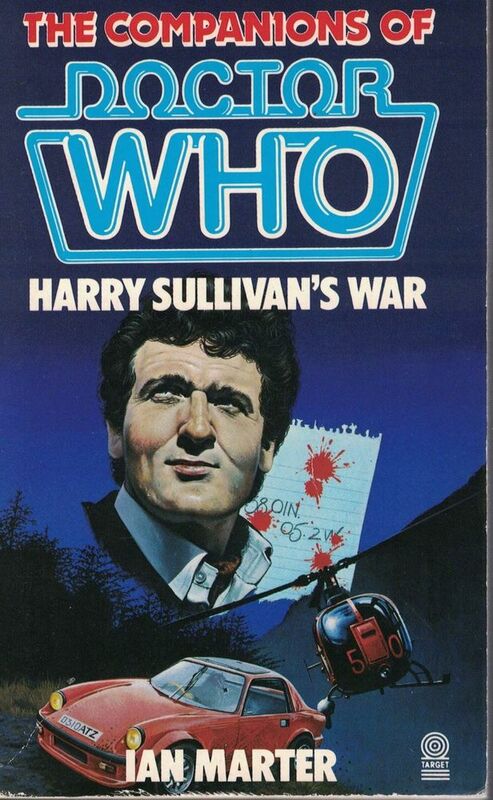 Harry wanted to play James Bond in Robot and with Harry Sullivan’s War, Ian Marter finally gave Harry his own 007 style adventure. Ten years since he left UNIT, Harry has been engaged in top secret work, developing antidotes to nerve toxins. But when he is transferred to Yarra in the Hebrides to work on weapons research, he has severe misgivings. For one thing, it goes against much of what he believes in. For another, someone is out to kill Harry Sullivan. Who wants Harry safely out of the way? What significance does a painting by Van Gogh have in the affair? And can Harry’s old friend, the Brigadier, really be involved in a scheme which threatens the security of the Western World? Like I said, it’s very much a James Bond style adventure – there’s even a character called Teddy Bland – although one big difference is that Marter stays permanently with Harry throughout the adventure, never cutting away to the villain or any secondary characters. Marter also planned to kill Harry off at the end of this adventure. Proclaiming that 1998 was not ‘one of his favourites’ the Fourth Doctor, Sarah Jane and Harry accidentally land right in the middle of an achingly nineties Missing Adventure Novel where the trio must race against time to prevent the breakdown of technological society and foil an unconventional alien takeover bid. Harry is still very much in his James Bond period – he’s now graduated from adviser to an assistant chief of staff for MI5 – he even has a BMW with bulletproof glass (although he misses his old MG). His return is a welcome one in an entertaining novel. Oh look me up in the year 2000, won’t it be strange when all the computers have blown…Y2K fear is rife and one mysterious company, Silver Bullet Systems, has the answer…even if it is primed to fail. An alien race known as the Voracian are purposely installing the fail-safe chips in every computer; regardless of whether or not they need them. 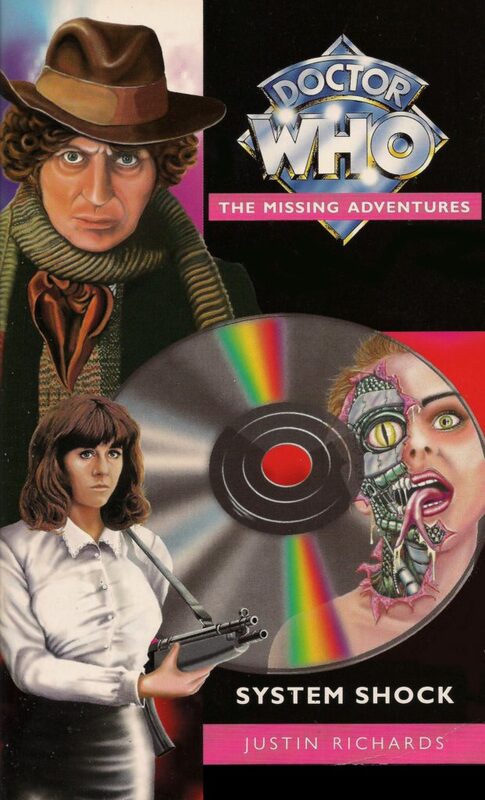 A pre-millennial thriller featuring the Fourth Doctor, Sarah Jane, and Harry – still employed in his role at MI5 – the book suffers from the law of diminishing returns, not to dwell on the fact that it has horribly dated as well. However, it’s interesting to note that, years before Aliens of London, the novel features creatures posing as humans inside Downing Street. Cast into a parallel universe, the Seventh Doctor, Ace and the surviving members of UNIT are hunted by Silurians for sport. The anti-war sentiment may be a little too heavy handed at times but the novel is rollicking fun, posing as it does an intriguing ‘what if?’ scenario if the original occupants of Earth decided they wanted their planet back from humanity. In this universe, Harry Sullivan is a Navy submarine commander who saves the life of the Seventh Doctor’s companion Bernice Summerfield. Russell T. Davies New Adventures novel brought the Seventh Doctor bang up to date with its portrayal of grim urban decay in Thatcher’s Britain. 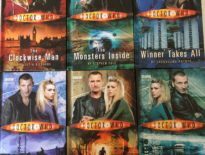 It might be tempting to read this as a blueprint for the new series, but, unfettered by audience concerns, the book pulls no punches when it comes to exploring more adult themes. The one reference to Harry Sullivan confirms that he’s still alive and well in 2015 and that he’s the former head of MI5 who may have discovered a cure for HIV from the blood taken from David Daniels. 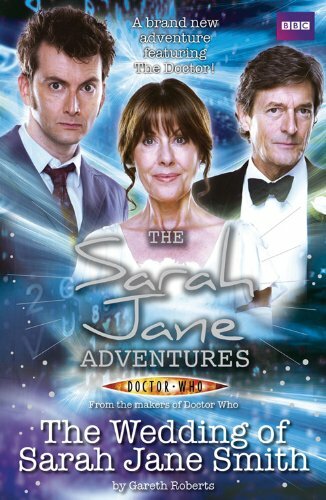 The novelisation of The Sarah Jane Adventures two-parter, written by Gareth Roberts, which sees Sarah Jane Smith about to embark on her greatest adventure yet…marriage. However, there’s no wedded bliss for the former companion when a dear old friend crashes the wedding. 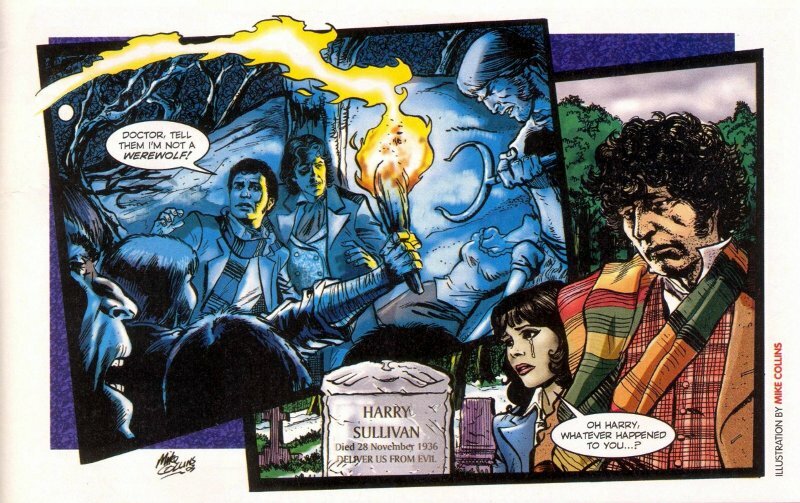 In a deviation from continuity, Sarah Jane briefly thinks of Harry Sullivan, who is either dead or M.I.A — she’s not entirely sure if he is dead, or not — believing he would have loved to be at her wedding, and remembering his habit of calling her “old thing”.